High speed videos 1280 x 720 (120fps); plays back with normal 50fps speed. Is there any information about the sync of both cameras in this setup? I can't find anything. I cam guessing NFC or some other wireless tech syncs record start/stop- but any news of (I will say it: Genlock). Also I thought it was 2880x2880 or something like that? JK Imaging Europe Ltd., the worldwide licensee for KODAK PIXPRO Digital Devices, has unveiled the extraordinary, evolutionary new KODAK PIXPRO SP360-4K Camera, the world first and most complete 4K recording device to capture stunning 360° immersive videos and still images without the need for multiple cameras. With so much excitement over the KODAK PIXPRO SP360 Action Camera and with countless gleaming reviews and praises by tech and lifestyles editors, it is no surprise that the SP360 is on the forefront of leading technology helping YouTube content creators to share their world with 360-degree videos. Indeed the creator of the world’s first 360 degrees cameras was also recognized by Google for being one of only a handful of devices to support YouTube’s recently launched support for 360-degree videos. Using the Pixpro free PC and Mac desktop editing software for the SP360, video enthusiasts can now transcribe any video created with a press of a single button to the YouTube 360 degree format and upload content seamlessly to their YouTube Channel creating Virtual Reality movies. YouTube channel is abundant of 360-degree videos taken with the KODAK PIXPRO SP360. The SP360- 4k Camera captures 360-degree field of view in multiple directions via its dome shaped lens design and can be panned not only 360-degrees horizontally, but also up and down with a host of different vantage points and views for playback post capture. It is easy-to-use and small enough to fit in the palm of a hand or pocket for extreme portability. "The KODAK PIXPRO SP360-4K revolutionize video recording and how you see and experience the World All Around You. This is the next step to Evolution for 360 degrees Cameras” said Mariame Cisse, Marketing Manager of JK Imaging Ltd. “You can now create the most pristine videos and photos in 4K and Direct and Act your own Virtual Reality movie” she continued. KODAK PIXPRO SP360-4K is a magical piece of lens that captures 360 degrees angle All AROUND YOU, YOU ARE PART OF THE ACTION. The KODAK PIXPRO SP360-4K no doubts BRINGS YOU CLOSER. Previously, 360° panoramic photography required users to possess advanced technique, specialized equipment and multiple cameras until JK Imaging released last year the SP360 Action Cam and changed the way we view the world, with this new SP360-4K designed for professionals it has Evolved into another dimension. 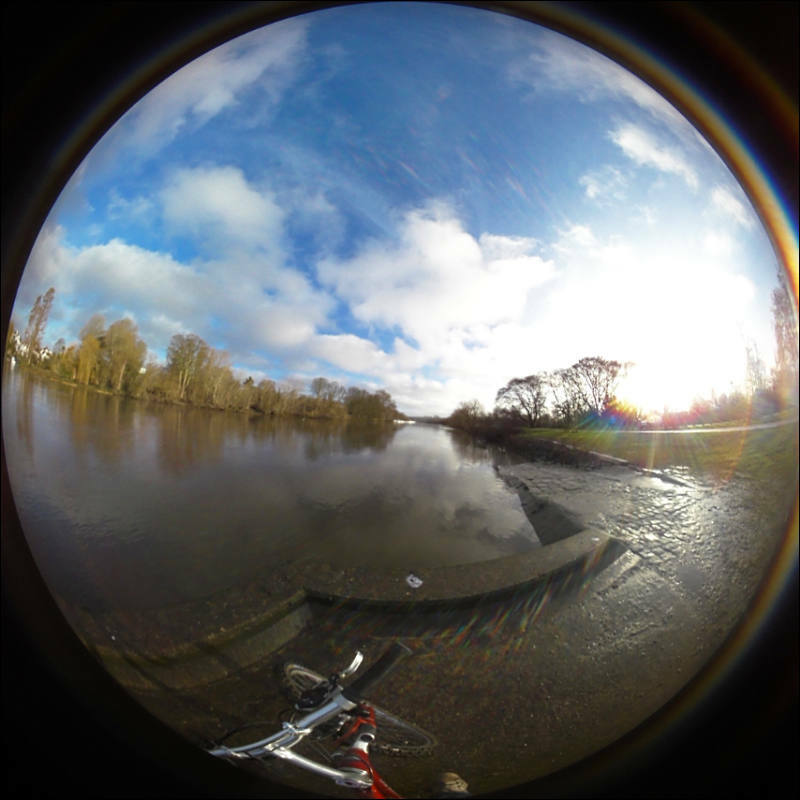 Last year release of the first KODAK PIXPRO SP360 was received with great acclaimed by the press and especially by the sport/ action people as it was designed for them in mind to answer the challenge of recording themselves and the action at the same time without the use of several devices. Engineered for unmatched portability and ease of use the new KODAK PIXPRO 360-4K has been designed with the professionals in mind, and is full packed with technology that opens it to endless applications. Innovations to the Quad Mode makes it a true partner as a Security devices and the flat magic mode allows Estate agents’ customers to virtually visit a property. The KODAK PIXPRO SP360-4K comes with a video conference feature and LiveView which enables participants to see in real time the world around them and be part of it. The SP360-4K Brings You Closer. Distance is no longer a limit. The KODAK PIXPRO SP360- 4K has been designed and engineered to solve day to day challenges presented by professionals with the use of its split viewing 180-180 degrees as it can be used as a dashboard camera to record the subject and all around you. With its stylish and sleek black design, it is NFC and Wifi enabled so it can be used everywhere and anywhere. It features 10 different viewing modes that bring images and content closer to the user’s fingertips, resulting in a very personal and professional experience. A custom-design LiveView allow users to participate in events on the other side of the planet and still keep the data extremely secure. With its motion detection feature users will never miss an action.Powered with BSI Image sensor, high quality and high speed ensures better videos, with 12MP BSICMOS sensor and advanced optics the device help capture rich, detailed images now in 4K(2880 x 2880), and added features including time-lapse video, burst mode as well as 4K photos. Like its predecessor, the KODAK PIXPRO SP360-4K comes with a wide range of attachments (over 12) from waterproof housing (up to 60m) to flat adhesive suction mount and remote control. JK Imaging Europe is very pleased to be at the forefront of this technology with a 360-degree camera that action lovers, professionals and content developers are asking for. High speed videos 1280 x 720 (120fps); plays back with normal 30fps speed. 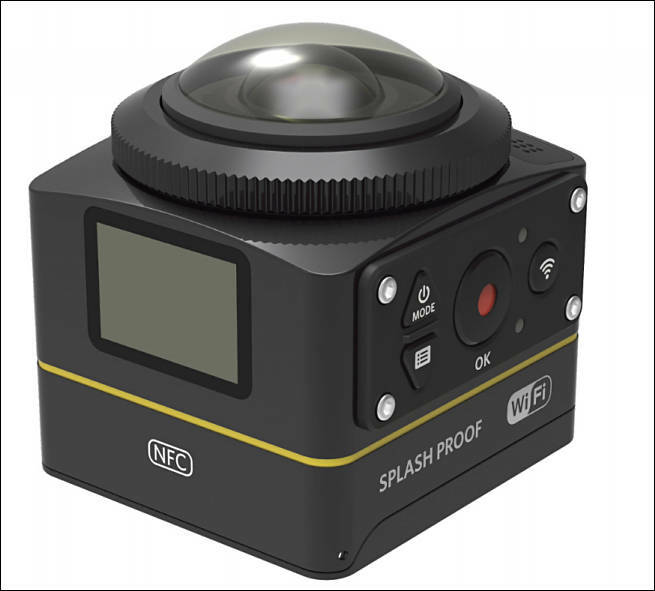 JK Imaging Ltd., the worldwide licensee for KODAK PIXPRO Digital Cameras and Devices, today announced the highly anticipated worldwide availability of the coveted new SP360 4K Action Cam. Poised to ride the perfect storm with the recent announcements of 360° interactive video support by YouTube™ and Facebook™, the KODAK PIXPRO SP360 4K Action Cam is ready to become one of the dominant cameras and most respected brands within the rapidly growing 360° VR video world. 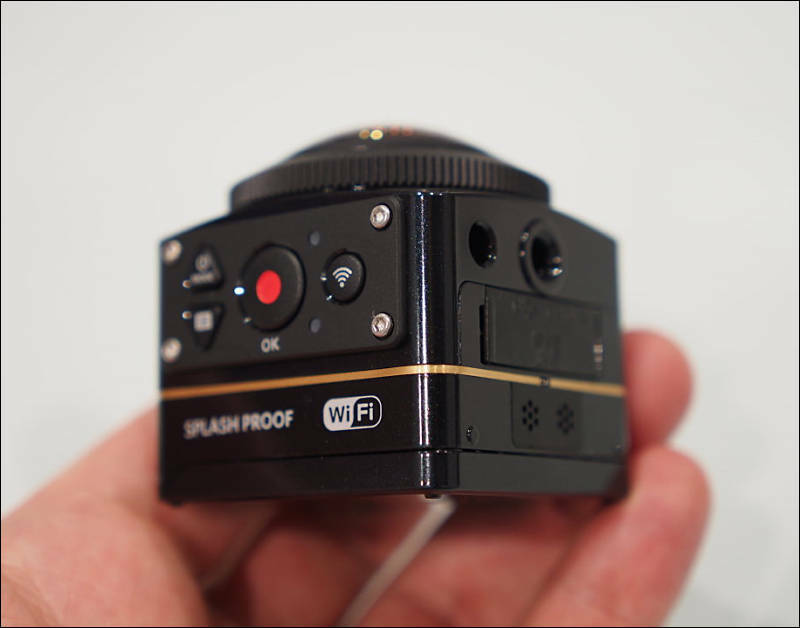 The all new SP360 4K Action Cam was designed to give yet another option within the KODAK PIXPRO Digital Camera 2016 line as a step up model built for dedicated videographers and filmmakers. This 360° VR camera is geared towards those looking for a new avenue to take their creative vision and passion for delivering 360° interactive video experiences to the next level. The SP360 4K will be offered in assorted bundle packs that give multiple options to discerning content creators. The company’s decision was to forge a different path from traditional practices and stay focused on the customer’s needs first. The KODAK PIXPRO SP360 4K Action Cam is available for purchase online now starting at $499US MSRP with the entry-level PREMIER Pack that features one SP360 4K Action Cam and assorted mounts. The top tier DUAL PRO Pack is available for $899US MSRP and comes with two SP360 4K Cams, Dual Camera Mount and a RF Remote Control, to synch and control multiple devices (up to 10 SP360 4K cameras) for those wanting to record and render full 360° interactive spherical video. One of the biggest selling features of the new KODAK PIXPRO SP360 4K and current SP360 1080p models, is the compatibility with YouTube™ and Facebook™ 360° video platforms. This allows content creators to seamlessly transcribe their 360° VR videos and share their content with billions of people Worldwide. All models are available for purchase now in the US at: https://store.mypixpro.com. A firmware update that enables HDMI output while shooting 4K. The stitching software now stitches stills as well as video, uploads to Facebook as well as YouTube, and adds some creative video modes - theater full screen and little planet. Did anyone try 4 of these for a 360 3d vr rig?